This app extends the variable product type. With this app you can treat the options as variants and can maintain the stock level. Download the package from our site and install it in your site using Joomla Installer. After installing the app, in the Joomla backend go to J2Store > Dashboard > Apps and enable it. There is no major settings to be configured inside the app. Go to article manager and create new article with product type Advanced Variable. Add Thumbnail image, Main image and Additional image. Navigate to Variants tab and type the first few letters of the unique name of the product options in the search box. Choose the option from the dropdown and click save. Set the values for option and then save again. Its no matter you are using options as variants or not. Whatever it is you must generate the varaints once. Otherwise the error will be notified. How to use options as variants? On saving the article, you will be having checkbox at the Use as variant column. Check this checkbox to use the options you added as variants. Before generating variants, check the checkbox next to the Required column and click save. Once saved, click Generate Variants button. 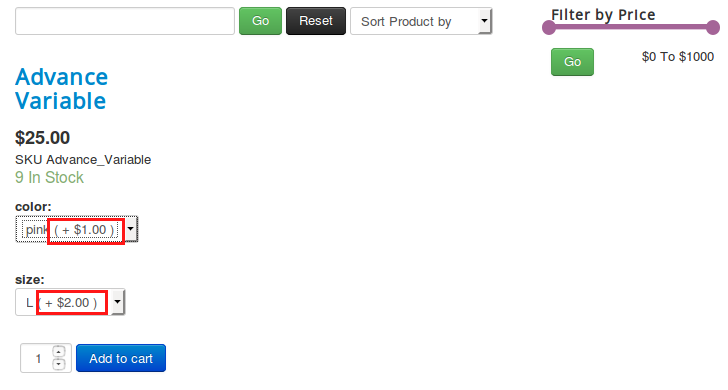 After generating variants, click Open all button to set all the product requirements such as price, shipping dimensions, stock and press save button. 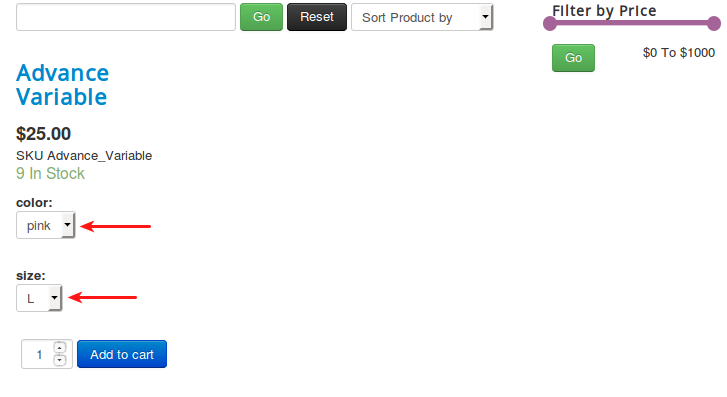 Now check the product in frontend. 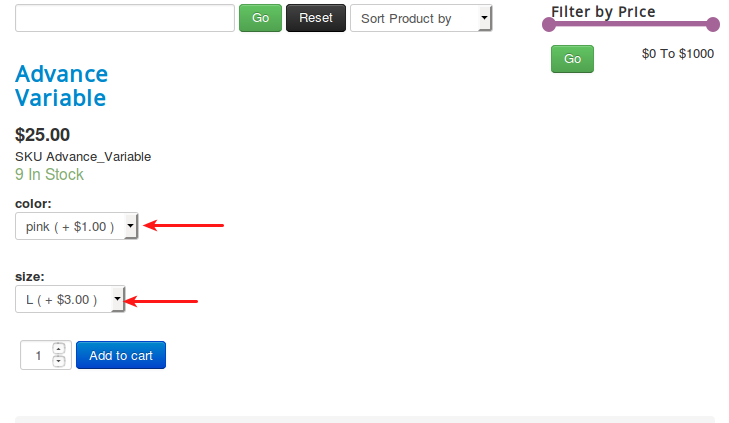 Go to article manager and move to J2Store cart tab. Uncheck the Use as variants checkbox (Don't delete the varaints) and click save.